Precise angle adjustment through pins and inductive sensors, dirt and water proof, much more reliable than standard limit switches. Side short rulers with holes for pins, allowing an accurate tuning on angle adjustment (models DEL 32 and DEL 36). Models DEL 45 and DEL 52 featured with side long rulers which allows double bends for "Z" shaped figures (bottle neck shapes). Two speeds motor available upon request on models DEL 32, DEL 36 and DEL 45. 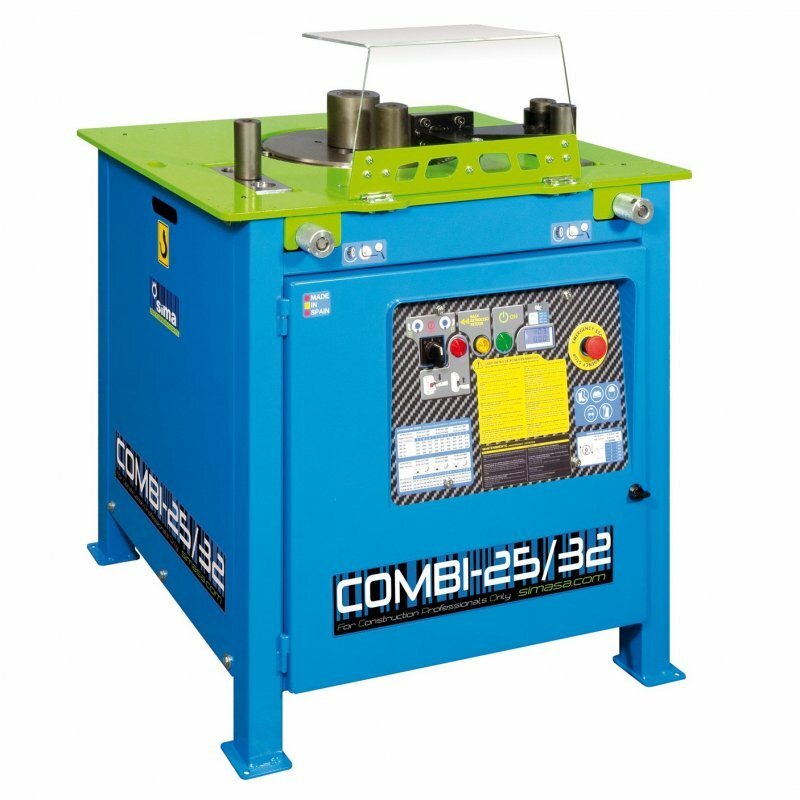 COMBI machines have the same production and bending capacities as our DEL range benders. They are also featured with the same electrical and mechanical safety devices as DEL machines and its electric components are of worldwide known top quality suppliers as Schneider-Electric. Safety shield with limit switch on shear body and bending table. Easy low-cost maintenance can be even performed on site by the machine operator. Single-phase 220V version with inverter technology available for model COMBI 25/32. The inverter stabilizes the electric supply so it makes the motor life longer. Two speeds motor available upon request on models COMBI 25/32 and COMBI 30/36. STAR 16 and STAR-20 are not only able to produce standard stirrups but virtually any rebar shape tipically used in rebar structuresconstruction, such as: hooks, separators, anchorages, rebar feet, elbows, reinforcements, etc. Able to bend several rebar at the time depending on rebar size and strength (Grade). Easy and simple operation: it does not require highly qualified operators. All the necessary pins, rollers and mandrels, as well as the adjustable stop ruler are supplied as standard equipment. Pins and rollers can be customized upon request to suit to our customers requirements.